VOILÀ! 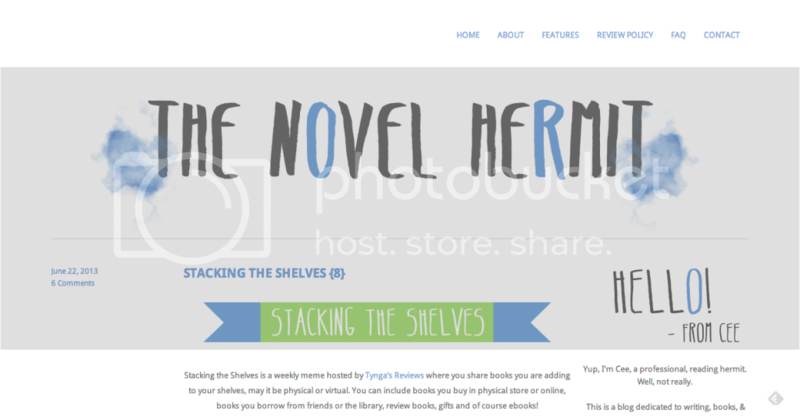 THE NOVEL HERMIT IS OFFICIALLY A SELF-HOSTED BLOG! Well, you guys. It didn’t take long. Here it is. 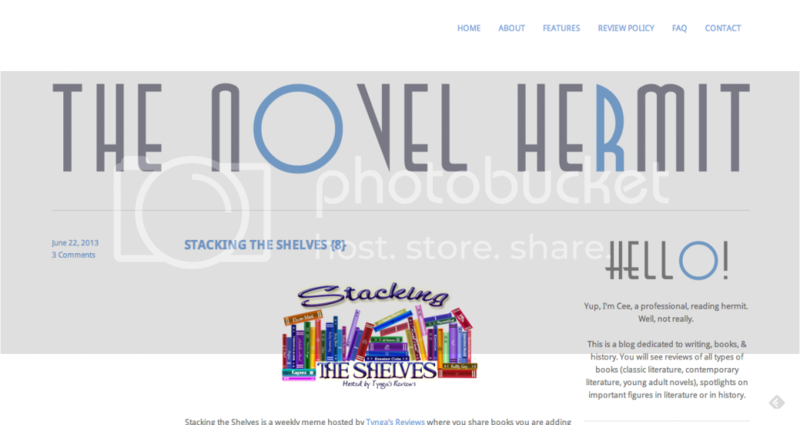 Like the title says, The Novel Hermit is officially a self-hosted blog. CELEBRATION TIME! I decided to go the self-hosting route because – 1. I wanted freedom that WordPress.com did not allow me + 2. I was jealous of people who had made the move (I wholeheartedly admit this). I was so frustrated that I couldn’t fix my layout. I had to make do with what I had, which meant making extremely minor fixes. (Not a fan.) And I was getting irritated with my blog URL. I wanted to own my name and my site, but being on a free blogging platform did not give me that. The URL addresses got extremely long, especially for my discussion posts, and that made it difficult to submit links. Every time somebody that I knew or followed announced to the internet world that they decided to move their blogs to WordPress.org, I hissed in envy because I wanted to do that too. My first thought was always, “Aww man, I want to self-host my blog too!” and then I would debate with myself whether I should make the move. I wanted that happiness in actually owning my blog. However, with a heavy heart, I usually talked myself out of buying a domain and a web host. I talked myself out of self-hosting my blog because of my anxiety about money (which I got over fast when I realized the amount I would pay wasn’t as bad as I had expected), and about not having a clear idea of how to set-up everything. I had no idea how I would transfer my blog and didn’t have the money to get somebody to do it. I would be going into the whole self-hosting thing blind, something I did not want to do (because I get stressed out easily). I feared that I would mess everything up. So I put it off. I always knew I was going to transfer all the content on The Novel Hermit by myself. I just didn’t know how. So, when Ashley at Nose Graze, wrote an extremely thorough DIY blog transfer walkthrough, I nearly screamed in joy. It was a total gift/sign from the heavens or wherever. This walkthrough was perfect for me. Yeah, her post is about a Blogger to WordPress.org transfer (even though my blog is on WordPress.com), but it still worked. I was extremely thrilled that Ashley used RFE Hosting as the example web host for her walkthrough because I had decided early-on that I wanted them to be my web host provider. My anxiety continued to ease as my questions were answered by Ashley and I familiarized myself with her post to ensure I didn’t miss anything. With the help of that handy walkthrough, I went through the process of buying my domain and then my web host, and transferring my content over. It was surprisingly easy. For those who want to go the self-hosting route, but are not savvy at technology or great at DIY, Ashley’s walkthrough is extremely helpful. She lays it out on the table for you, so all you have to do is follow the steps. I had to wait a few hours for RFE Hosting to finish setting up my account. That was the only thing that took a few hours. I was extremely antsy because I wanted to get a move on things. It took me under an hour to get everything transferred over to the new blog, which is fairly fast, but that’s probably because I didn’t have a lot of content to transfer to the new self-hosted blog. I am not CSS-savvy. Not at all. I had so many issues trying to figure out what each code meant. It took me so many frustrating hours. I fiddled around with the CSS coding. Sometimes, I fixed what I wanted, and other times, I didn’t. It was like having to turn off the lights but you realize that there are a bunch of light switches. When you push one down, another one turns on. You pushed another, a different turns off and another turns on. I tweaked so many layouts, trying to find the best one for my blog. I wanted to keep using the one that I had been using on WordPress.com, but the layout was funky (sidebars were too thin and I couldn’t figure out how to make the width bigger, and I didn’t how to get rid of the header text). I was sooo tempted to purchase a theme, but I knew that was not an option. If you have questions about transferring blogs from WordPress.com to WordPress.org, feel free to ask me questions. But if you don’t, tell me what you think about my layout and plugins you think I must install. (To name a few, I have CommentLuv, Askimet, Editorial Calendar, and WordPress SEO by Yoast.) I know the Ultimate Book Plugin is what I should get, but MONNNEYYYY. :( I’m pretty excited for this new adventure as a self-hosted blog.